On our way from Albuquerque to Carlsbad Caverns we decided to stay over in Roswell because hotel cost is a lot more reasonable in Roswell. Carlsbad Caverns is incredible, but I didn't realize the draw for tourists was so strong that it doubled the cost of hotel rooms. About 53 years after my last visit to the caverns, I found them just as majestic as I remembered them...no young boy exageration of my memories. 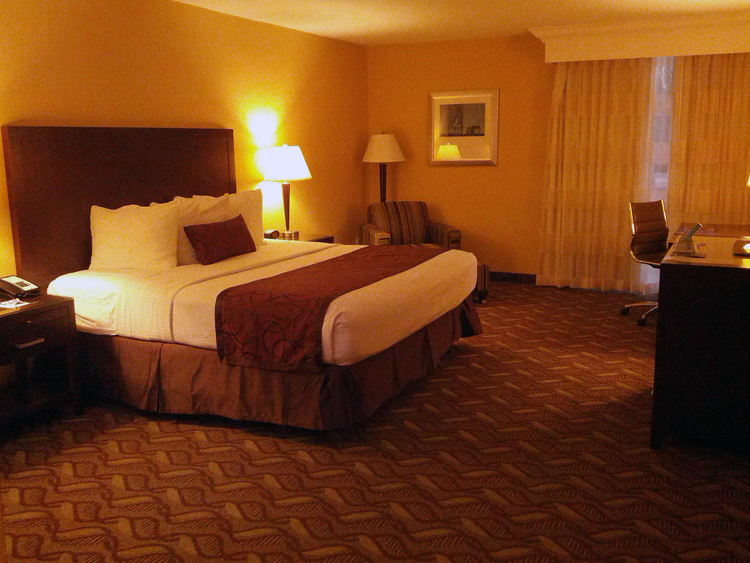 We are really happy we stopped in Roswell and discovered the Sally Port Inn & Suites. 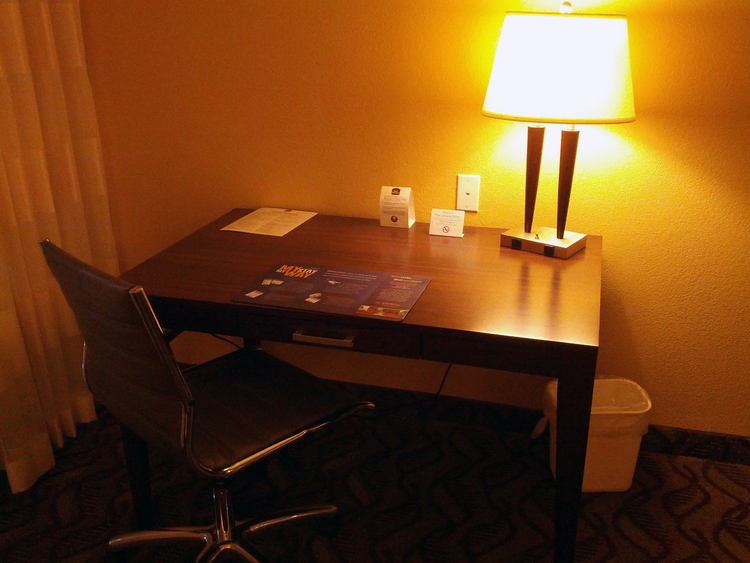 It is one of, if not the best Best Western Plus hotel I've stayed at. There are some that have fancier trimmings and are equally nice in all the common aspects, but this one rises above. At the time I felt that this is the Best Western Plus that I wish was the model everywhere, but there are still things it could learn from other properties. Still, look at the small photos and try to imagine how nice it is inside. I like space, freedom, lack of clutter. This hotel exudes freedom of movement. The side tables on each side of the bed have lamps with power outlets in the base. Convenient power access is surprisingly lacking at many hotels, even high end brands. I read from bed using my Android mobile phone in Kindle mode and set it on the side table before falling asleep (sometimes) and it's still charged in the morning. Restroom: there is generous sink counter space placed at normal height (too many hotels are now installing restroom counters designed for people who are 6'4" and a sink that protrudes into my gut when brushing my teeth). I was glad to see the coffee maker and fridge in their own well-lit alcove. However, like too many hotels, the TP holder is placed so that the guest has to do a contortionist act to get to it. Why? Clean and well maintained throughout. 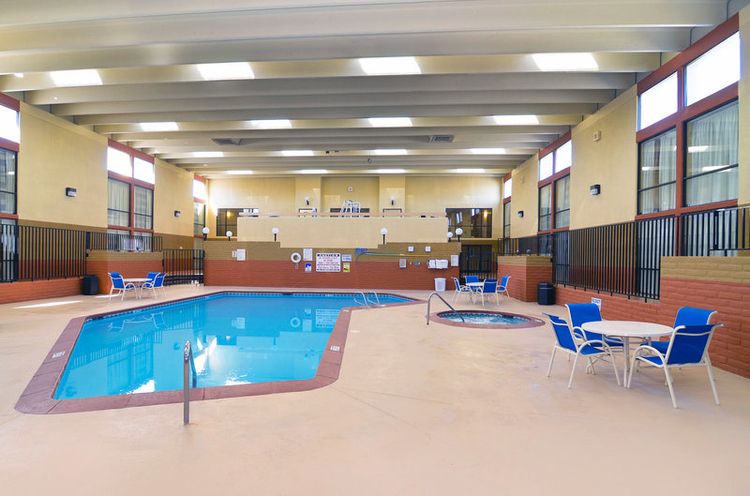 Attractive and spacious indoor atrium and reception area with very nice pool and Jacuzzi (that actually works and is, unusually, not over-chlorinated). Fitness center in the same area, accessible from the second floor. A wonderful absence of the typical Best Western smoke detectors that have a light that periodically flashes all night long. A hotel room is supposed to be restful. Very happily, this hotel does not have this problem. The free breakfast is a step up from many BW Plus hotels. A larger than usual breakfast area, a somewhat better selection of food. But when it is busy there is a lot of congestion around the coffee machine which blocks access to other items. The young lady who manages the breakfast area does a very good job of staying on top of what is needed and generally being helpful. We very much enjoyed our stay here. Newer PostDisney World: Stay on property or off?